“There is no bird in our eastern American avifauna that is better worth an acquaintance than the Rose-breasted Grosbeak. Some birds force themselves upon our attention; we have to go to find the Rose-breast for he is nowhere common. Some birds have commonplace voices, but the Rose-breast has a rich and mellow voice that rings out with abundant vitality in the bush lot at the edge of the forest or across the bushy swamp. 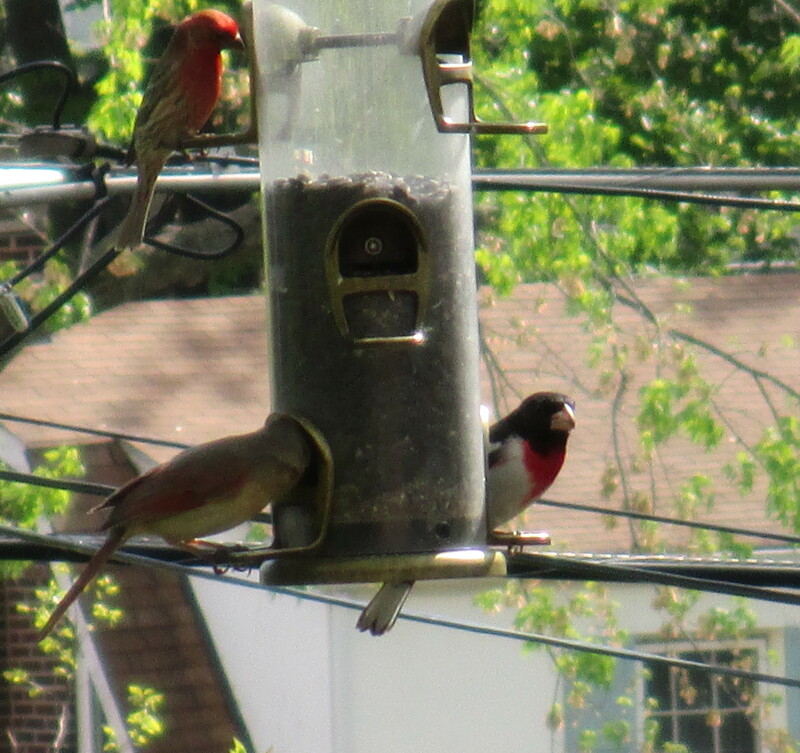 …Almost all observers are impressed with the vital wholesomeness of this Grosbeak. He is seldom nervous and seldom allows trivial things to disturb him. He acts with dignity and yet with a quickness and precision and quiet forcefulness that are almost ideal. 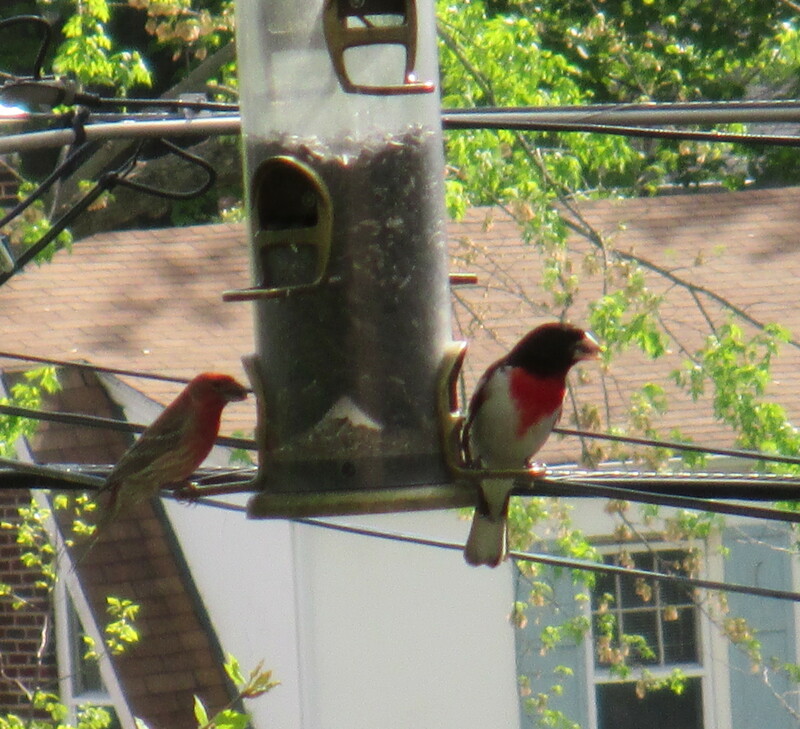 …Cardinal-like, the male has a great attachment for his mate while she is at the nest. He has been seen standing a few feet away as though glad to be in her company. Sometimes he will sing for her for a long time in a nearby tree. And someone has said that he has carried potato bugs to feed her on te nest. When the young have left the nest his presence with them is very noticeable. Generally silent during those busy weeks, he seems to be the embodiment of good cheer, happier, indeed, it would seem than the scared youngsters that watch his every action as though only in him could they feel any safety in this blood-thirsty world. Whoever cares to know this really high-class American must go out to his distant haunts. …Make a special journey to the wood-lot where he lives and spend a morning in his company. You will go home with the feeling of having met one of the best types of efficient, resoureful, and virile Americans.” (from Birds of America, Gilbert Pearson, Editor, 1917).